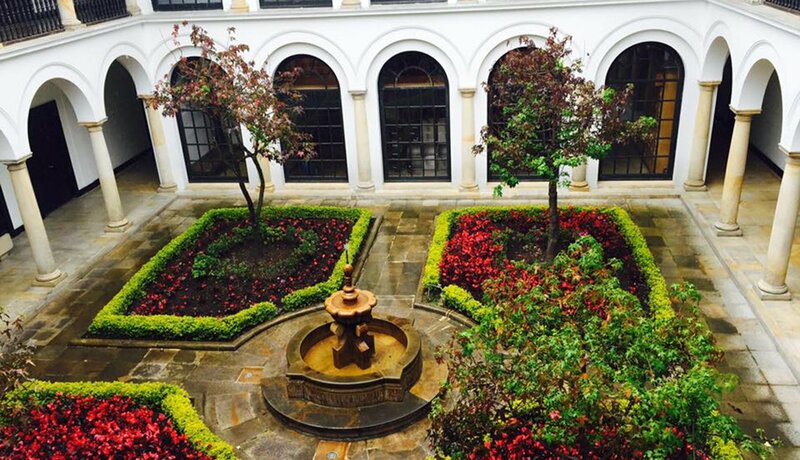 En español | As we honor Hispanic Heritage Month (Sept. 15 to Oct. 15), our correspondent traveled to Cartagena and Bogotá, the capital of Colombia, to discover the attractions and diversions that await North American visitors to this energetic land. 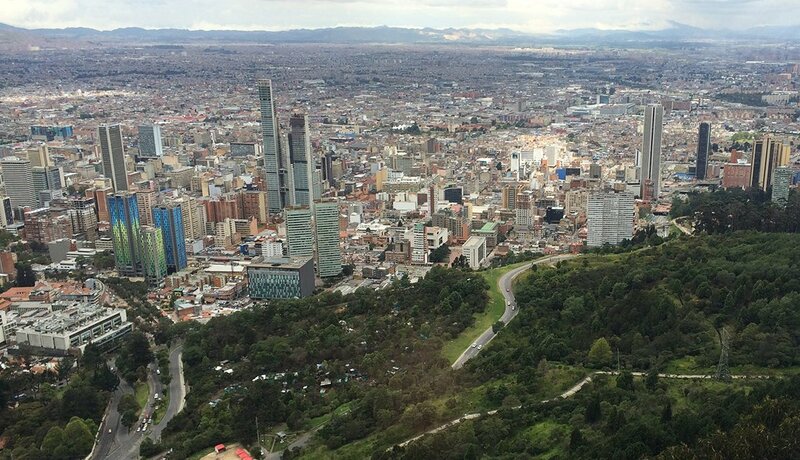 At 8,675 feet, Bogotá is South America’s third-highest capital (only La Paz, Bolivia, and Quito, Ecuador, are higher), so be prepared to adapt to the altitude on arrival; hydrate, eat light and pack something to ease the likely altitude headache. 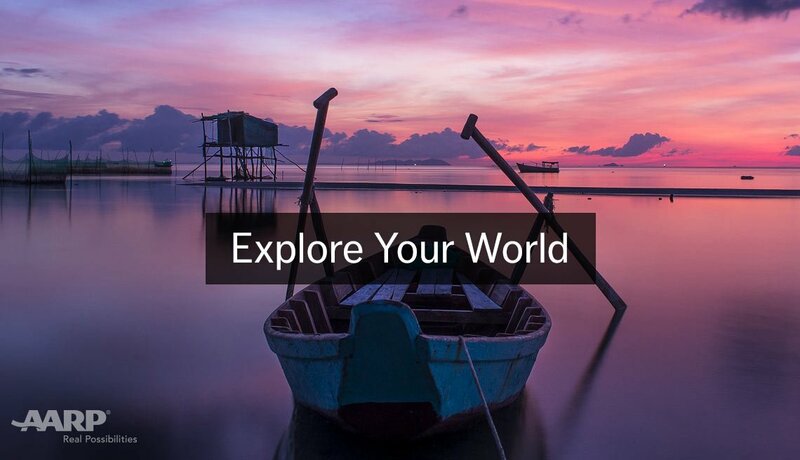 Once you acclimate, you can start exploring the vibrant urban fabric of food, art, ethnicities and local traditions. 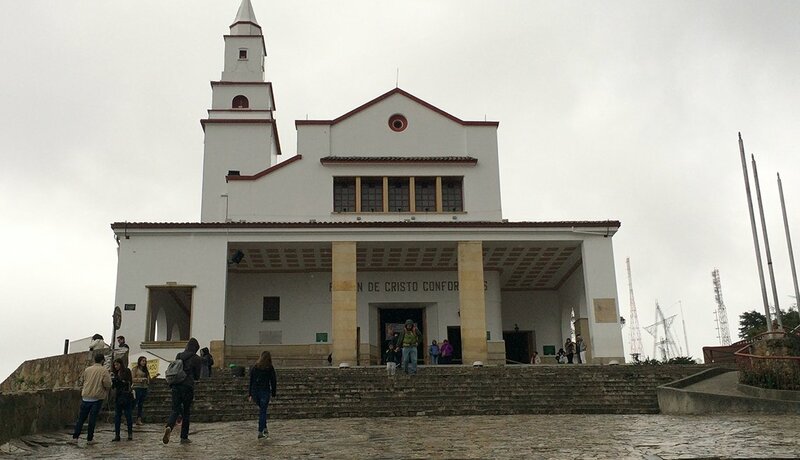 Looming even higher than the city center of Bogotá is 10,341-foot Mount Monserrate, capped by a 17th-century church with a shrine to El Señor Caído (the Fallen Lord). 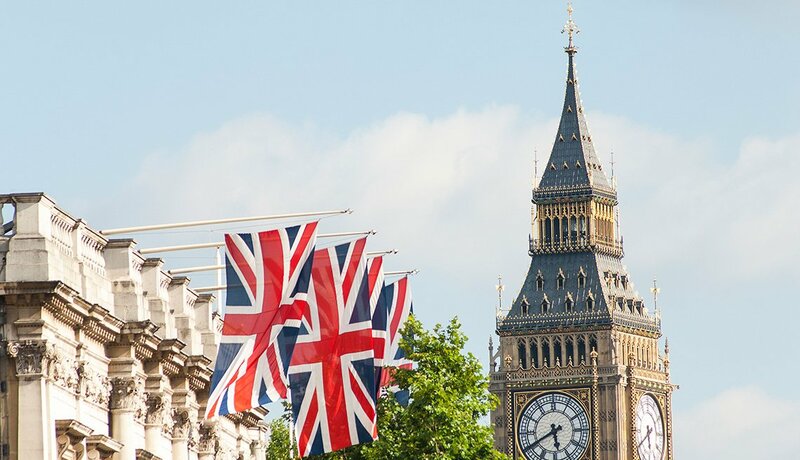 To reach the church, you can take an aerial tram or funicular — or make the trek on foot, as the many pilgrims to this holy site do. 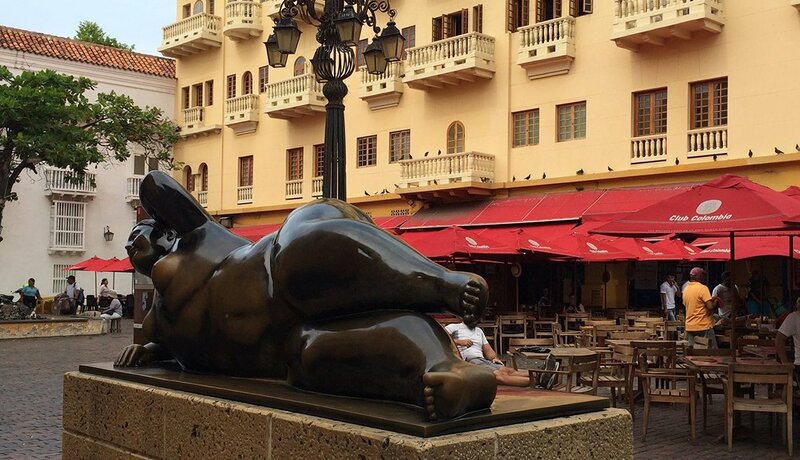 If you sometimes feel like you’re wandering through an outdoor art museum, there’s a good reason: The gigantic sculptures and paintings of Fernando Botero, perhaps the most famous living artist in South America, are nearly inescapable throughout Colombia, especially in the major cities of Bogotá, Medellín (Botero’s hometown) and Cartagena. His figurative art, featuring hulky, pudgy renderings of his fellow citizens, is instantly recognizable. For a concentrated exploration of Botero’s unusual (and often highly politicized) artworks, block out time for a visit to Bogotá’s gorgeous Museo Botero. Located in the city’s historic neighborhood of La Candelaria, the museum holds 123 samples of the master’s work — as well as a few Monets and Picassos from his own collection. 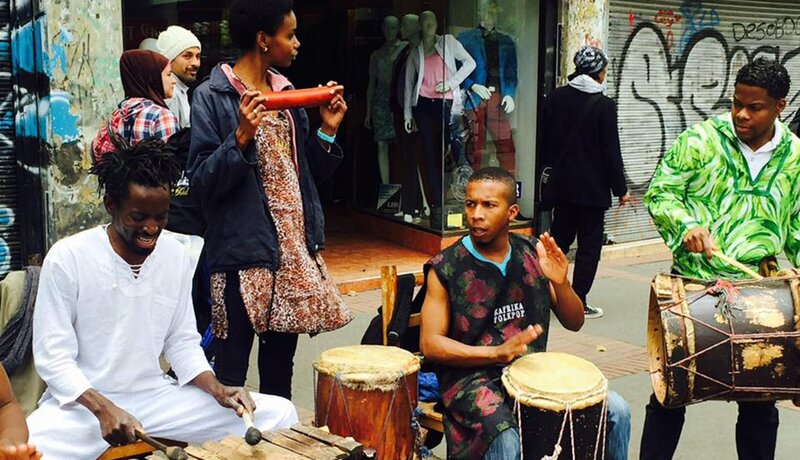 A summer stroll through the streets of La Candelaria — also known as Bogotá’s “Old City” — will spark your senses. It’s both an architectural and cultural melting pot: Among churches and houses designed in Spanish Colonial or Baroque style, you’ll encounter an energetic street scene highlighted by young, mesmerizing musicians. 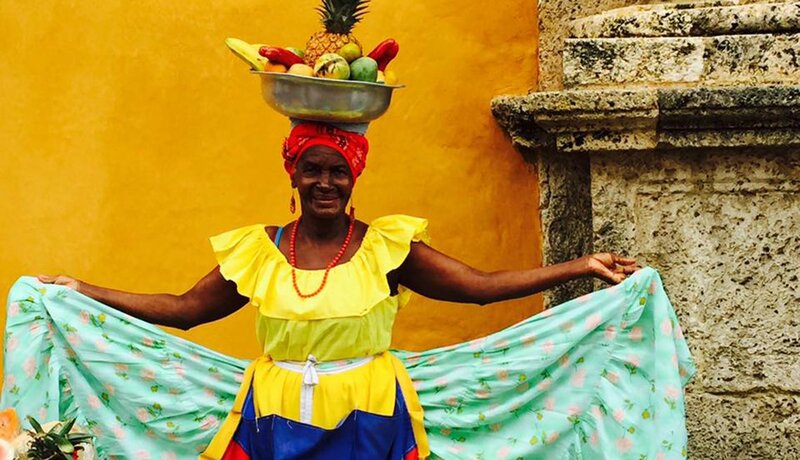 Visit Cartagena’s historic Plaza Santo Domingo and you won’t have to look hard for Las Palenqueras — fruit sellers decked out in colorful dresses. Most of these women journey daily to the plaza from nearby San Basilio de Palenque. 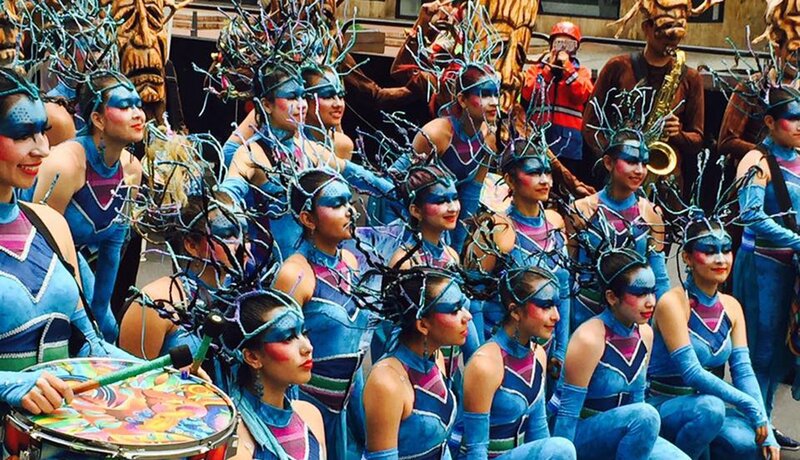 Their eye-catching attire traces back to the Black Cimarrones, the first blacks to escape slavery in Colombia. 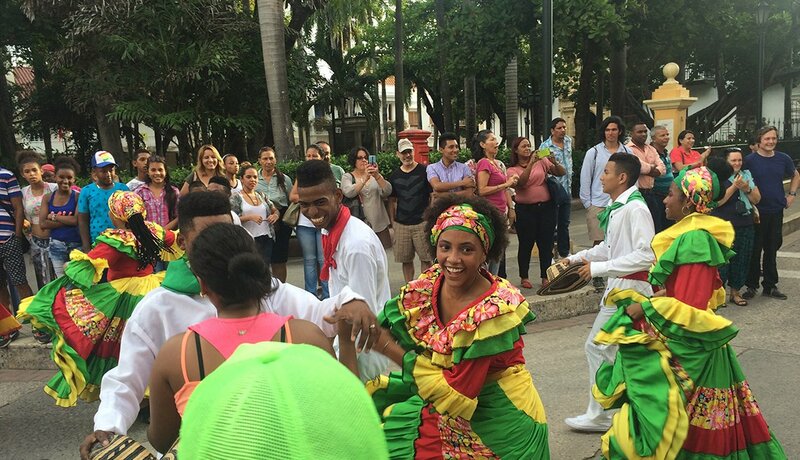 The music and dancing seem to go nonstop in Cartagena’s picturesque Plaza Santo Domingo, where many Colombians host parties, weddings and parades. 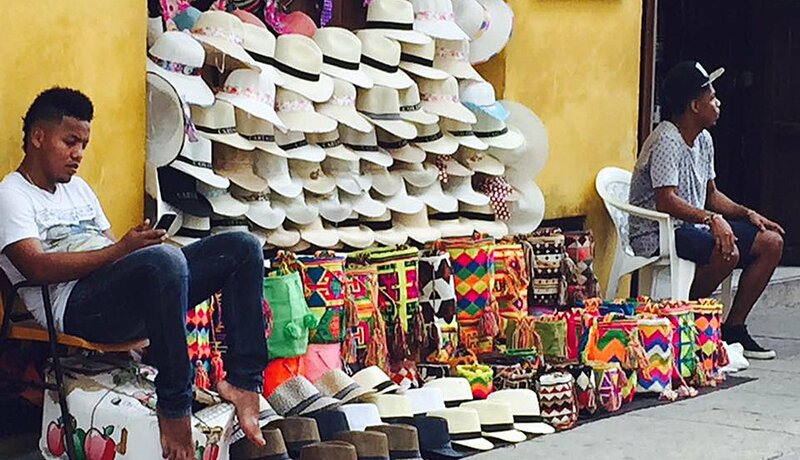 Aguadeño hats, made from fibers of the iraca or shawl palm and named for their provenance in the distant mountain town of Aguadas, are a mainstay of the crafts on offer in Plaza Santo Domingo. This is one tourist souvenir that may genuinely come in heady — er, handy: The cooling topper provides a welcome respite from Colombia’s summer simmer. 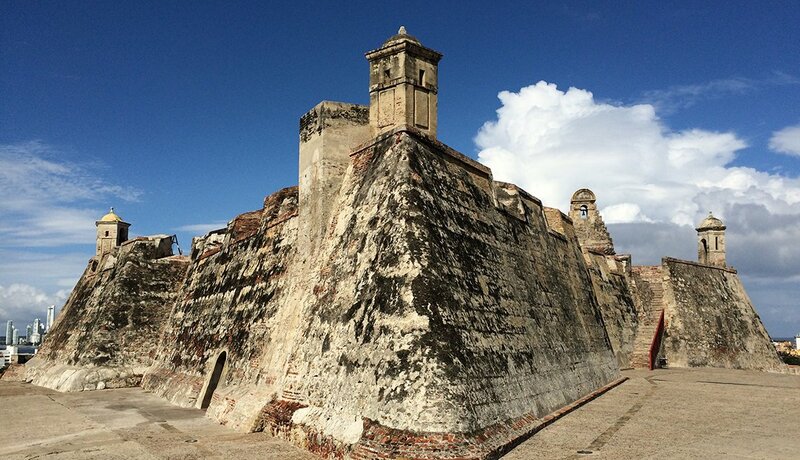 Standing sentinel high atop Cartagena’s San Lázaro Hill is the triangular castle of San Felipe de Barajas (1536), one of the strongest fortresses built by the Spaniards in South America. Though the fort harbors a warren of tunnels and evacuation routes, they were never needed, for the redoubt was never breached. UNESCO recognized it — and, indeed, Cartagena’s entire historic center — as a World Heritage Site in 1984.